The City Council adopted the Sebastopol General Plan update and certified the Final EIR on November 15, 2016. View the final documents. 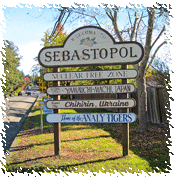 Welcome to the City of Sebastopol General Plan Update website. This website provides information on the General Plan Update process, which occurred from early 2014 through November 2016. Documents prepared for the General Plan Update can be viewed under the Documents and Maps page. The General Plan reflects community input provided over the course of the update, including comments and input provided at the Visioning Workshops, Open Houses, and General Plan Advisory Committee meetings. Information regarding workshops and meetings held throughout the process is available under the Meetings & Events page. The City Council adopted the Sebastopol General Plan (pdf) and certified the Environmental Impact Report on November 15, 2016.